Talk about TV in the world today and you’ll get a lot of white noise back about how no one is watching it anymore. It’s a complete myth: People still love to watch tv, the methods of watching have just changed and OTT is more popular than ever. 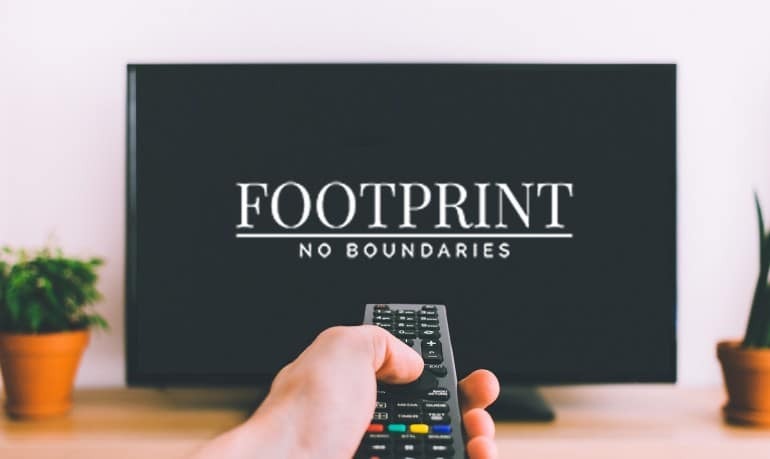 Instead of tuning into the network every night, things have gotten a little more sophisticated platform wise (think game consoles, your tablet, and smart TVs), and MCNs like Footprint, Netflix, and Amazon Prime are taking over the eyeballs. How do we know? A study by Nielsen in the fall of 2017 confirms that 58.7% of TV-owning households have an internet-enabled device to stream content on a television set. Break that into real numbers and you’ve got 13.4 million households with smart TVs in America. What does that tell you? That if you don’t have one yet, you’re missing out. Outside of your tablet or smartphone, a smart TV is one of the most useful electronics you can have, especially as OTT becomes more and more relevant. And as smart TVs become more standard across the board, you should consider how investing in an enabled television can improve the 5+ hours of time you spend watching TV a day. Ready to dive into finding one that’s right for you? We can help. We’ll get right to it: Size matters. And it matters whether you’re buying a smart TV or just a regular old TV, and it’s not too difficult to understand why. After all, if the point is to watch something it obviously comes down to bigger is better. But now that we’ve gotten that out of the way, what’s really realistic? THX has got a theory: The average household sits about nine feet away from their TV and proposes that you need a TV that fills at least 40% of your vision. At that distance, your hope of getting a 55” flat screen is not just a pipe dream. But regardless of distance and field of vision, we always suggest getting as big as you can afford. It’ll just make the entire experience a whole lot better. What will you use this tv primarily for? Is it for gaming? Fitness? Or maybe just plain o’l family movie night? Depending on what kind of end result you imagine, you can find TVs that cater to reaching those end goals. How great are you at keeping up with a remote? If one of the things you hate most about your TV is that you always lose the remote and then can never watch what you want to watch, when you want to watch it, you need to consider getting a TV that allows you to drive with your smartphone or tablet — or even just with your voice. Interested in watching 3D at home? If you’re into the high-tech thing, 3D capabilities at home can be a HUGE game changer. From movie to sports to games, getting a different dimension can mean enjoying your entertainment that much more. So if you’re interested in it, you definitely should consider it when shopping for a smart TV. We talked about size, we talked about perks, now it’s time to get down to the really important differentiator between products: the picture quality. There are a lot of different terms that get thrown around by sales guys when they’re pitching that 82” behemoth that you’re trying to imagine in your home theater, but what does it all mean? We’ve taken the liberty of breaking down some of the most important buzzwords you’ll see, so when you’re in buy-mode, you’ll know a thing or two about what you want. HD vs. Ultra HD (4K): The difference between HD and Ultra HD comes down to pixels — and where the new standard is going to fall. Most smart TVs these days have 4K pixels, so to keep up with the crowd (and the broadcasters), investing in Ultra HD will be your best option. HZ rate: HZ rate refers to how many times per second the screen image is updated, and it’s pretty easy to understand: The higher the number is, the clearer the image becomes. While the current industry standard is at 60, 120 is becoming more popular, and definitely delivers a better picture. LCD vs. Plasma: When it comes to choosing between LCD, LED, and Plasma, it comes down to budget and preference. While LCDs are the cheapest option on the market, they’re also the bulkiest because the liquid crystal display relies on light shining from behind the screens to light up the liquid crystal cells. Plasma uses completely different technology — gas cells that act as tubes to emit light between two sheets of glass — and present the best picture in dark rooms. So consider where your smart tv will be in your house, and whether you need an option that caters to certain light and weight specifications. If you’re just in it for the picture, go with plasma — it definitely has a superior picture quality. Have any smart TV favorite hacks we should know about? Comment below to share your favorite features or tricks for getting the smart TV that’s right for you. Now all that’s left is to stock up on binge-worthy snacks and get to streaming!